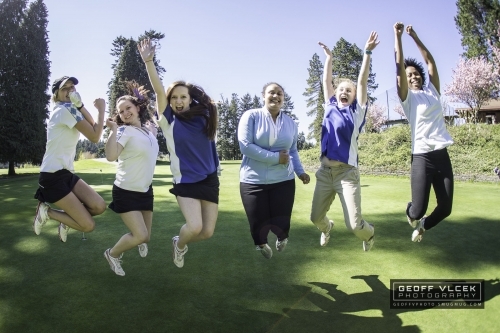 The Shorewood Girls Golf team rallied on Wed April 3 to their best team score of this season. Haley Wong has held medalist honors through the season. Supporting Haley are in the #2 & #3 positions - Maria Babcock and Isabel Brown. Upcoming players demonstrating improvement every week, Allison, Anna, Jane, Jennifer and Katie and will move be more experienced next year. The players have developed a strong team bond, and we are going to finish strong.